Why Choose Malaysia as an Anti-Aging Treatment Destination? Malaysian healthcare offers specialities in various medical disciplines and performs some of the most complicated treatments in the world. Today, the medical practices in Malaysia are on par with the some of the best in the world, incorporating both sophistication as well as international expertise. 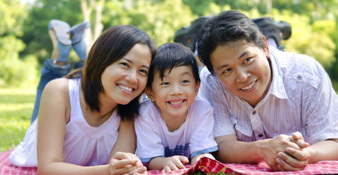 Malaysia offers excellent quality health care service at very affordable prices. Malaysia is a health care destination mostly visited by patients from US, UK Indonesia, Singapore, Japan, and West Asia. The rising cost of health care in some countries and the low quality of service in some other countries is attracting more and more visitors to Malaysia. The exchange rate of currency in Malaysia is low, which attracts a large number of westerners to the place. 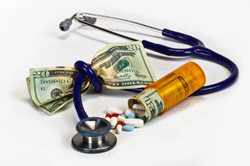 Where the cost of medical treatment is skyrocketing in the United States and Europe, Malaysia’s healthcare service comes as a relief to patients from all over the globe. Malaysia certainly and confidently boasts of a medical care that supersedes in quality and affordability. The disparity is proof of the cost-effective nature of Malaysian medical treatment. This leaves scope for combining a holiday along with the medical treatment for many holiday seekers. Amazingly, you still spend only less than what you would have, in order to undergo the same medical treatment in some of the western countries. The health care in Malaysia is quite advanced, thus making the country one of the top 5 medical tourism destinations in the world. The country has a wide network of clinics and hospitals which have state-of-the art facilities and most modern infrastructure. These hospitals provide a large variety of procedures and medical services which include dental, cardiac surgery, and cosmetic plastic surgery, at unbelievably low prices. People coming in for cosmetic surgery can also choose the package of their choice which includes luxury accommodations or recuperating after the surgery. Malaysia’s healthcare facilities are complemented by equally proficient doctors and nurses. With great hospitality and service, a comfortable stay in fully equipped and luxurious rooms is then assured. The hospitals also have international patient help centers and translators for the aid of foreign medical tourists who are visiting them. Most of the medical professionals in Malaysia hospitals have received their certifications from abroad. Presence of highly qualified professionals with the international exposure enables them to relate with patients from different cultures and also helps them to offer the safest and latest medical practices. In Malaysia, patients do not have to visit many hospitals for various treatments. This is because most of the hospitals in the country provide a large number of facilities under one roof itself. Malaysia healthcare serves you at every point of your journey, from the point where you access the healthcare services, arrive at our airport till you departure from Malaysia. The simple of service provided helps you to plan your treatment in Malaysia with much ease. The medical staff in the hospitals is highly qualified and they cater to all the needs of the patients. Malaysia healthcare centres, which are a part of the medical tourism program, also arrange for post-procedure aftercare facilities at highly impressive places. The patients can also relax at the hospital rooms or at nearby places, where the medical practitioners can keep a close watch on them. Malaysia is a beautiful country with excellent recuperation facilities for medical travelers. Malaysia is a enriched country with spectacular architectural sites and offers travelers with multiple holiday possibilities. You can take the opportunity to have a vacation along with your treatment. Malaysia offers its visitors a large number of exotic locations. So, if you are in Malaysia for medical treatment, you can also take some time to roam around the place. In addition to the innumerable number of shopping destinations, historic buildings and malls, you can get to see beautiful beaches, lush green forests, and mountains. Malaysia is certainly the healthcare travel haven and a tourist paradise that you’re looking for! Malaysia is proud to be amongst one of the only countries within the region where medical tourism is promoted by the government. This thus provides medical tourists the assurance on quality care, regulation, safety standards and the governing laws within this industry. 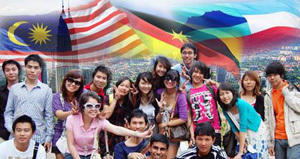 Malaysia is a multicultural country and English language is spoken widely among its residents. Speaking English is also a norm in the Malaysian medical community. The hospitals also have international patient help centres and translators for the aid of foreign medical tourists who are visiting them. The biggest advantage is perhaps the fact that the faculties of the hospitals are English speaking, facilitating proper communication and interaction. Hence, it erased any alien feeling for foreign patients, who are given the opportunity to relate with an identical nationality. In Malaysian hospitals, you can get treatment without being in a long waiting list. All the patients may get hospitalised on their arrival and the remaining tests and examinations are also done in a prompt manner. The efficient and organised patient registration systems help in reducing long patient queues. The treatments and medicines are dispensed to patients as quickly as possible so that they can decide whether to return home or to recuperate at a location of their choice. The surroundings outside the Malaysian medical facilities also act as a high impetus for attracting health tourists. The country is quite peaceful and is free from threats of any sorts. The crime rate in Malaysia is also extremely low, which serves as another attraction for tourists around the world. The people of Malaysia are very welcoming and hospitable. The country has a high social and economic stability and the literacy rate over there is very high. The scenic beauty, amazing food, and friendly residents also distinguish Malaysia from other medical tourism destinations in Asia and around the world. Travelling to Malaysia is quite easy. It’s capital city of Kuala Lumpur is well-connected by air to all other major destinations around the world. Going from one city to another is also quite easy as they are very well connected by public and private models of transportation. 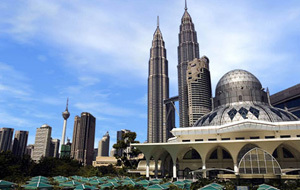 Compared to many other countries in Asia, the procedure of travelling to Malaysia is really easy. Passengers from western countries will get a Tourist Visa for 3 months once they come to Malaysia and hence they don’t need to apply for Visa beforehand. Also, you will be able to obtain a visa extension for up to 6 months simply with a letter from the medical centre where you are receiving treatment from.